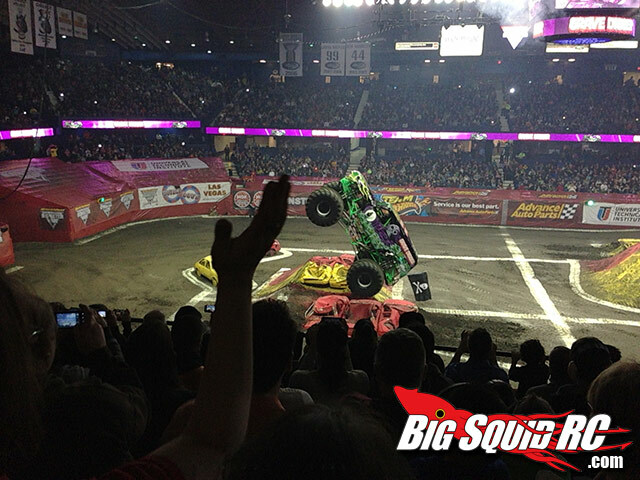 Big Squid RC Crew Hanging out at Monster Jam « Big Squid RC – RC Car and Truck News, Reviews, Videos, and More! Today Wrench (aka Bill) and I loaded up the families and headed to check out this years Monster Jam event in Rosemont Illinois. While everyone had a good time, it all seemed very scripted. Like we were watching WWE with trucks. Grave Digger won all 3 competitions. 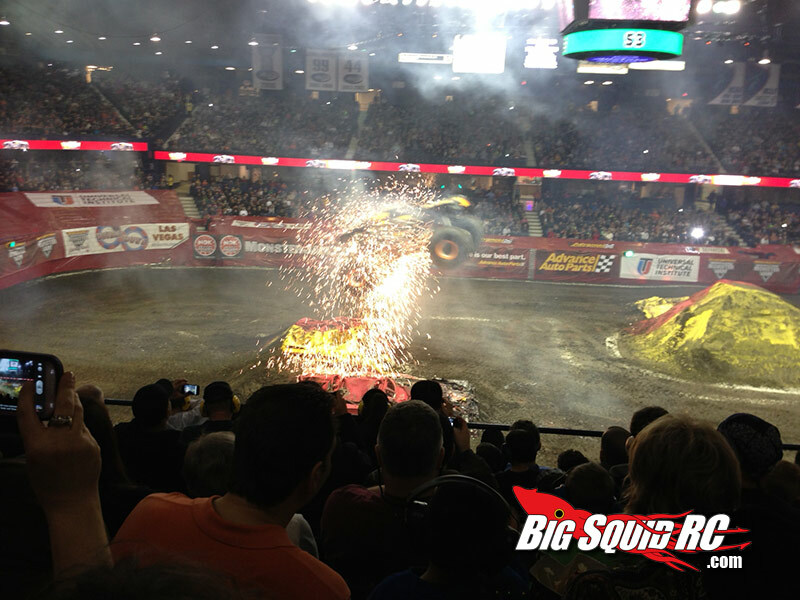 The race, the wheelie, and the freestyle. 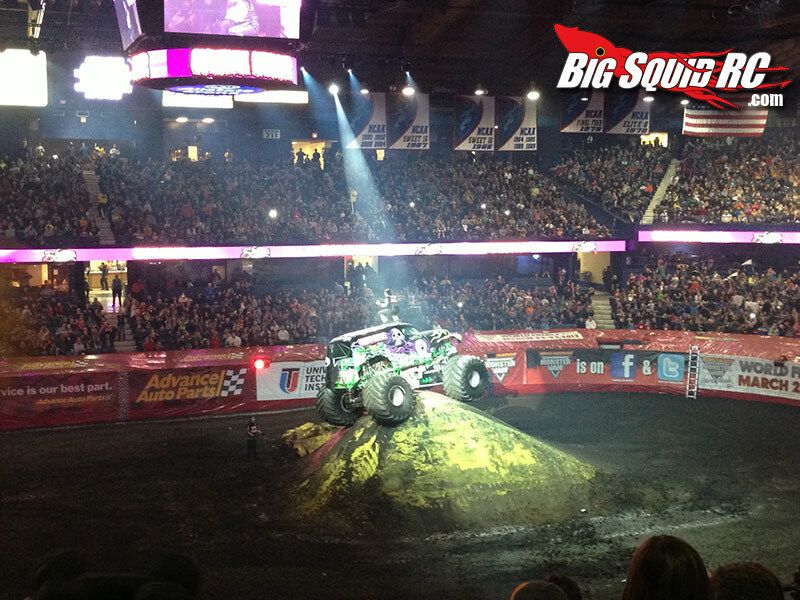 And while the truck put on a great show, it almost seemed like the other guys held back a little, and of course Grave Digger was the FINAL truck in the freestyle to end the evening. There was some AWESOME freestyle quad action that my son thought was incredible, especially when it came to the backflips. Those guys are nuts! There was also quad racing, where it was again very scripted to have the ‘Chicago Team’ win in the final race after all but two vehicles were ‘black flagged’ leaving 1 quad from each team to battle it out on the last lap. There was one mention of Traxxas when they gave away a Traxxas Monster Jam vehicle to a kid in the audience. 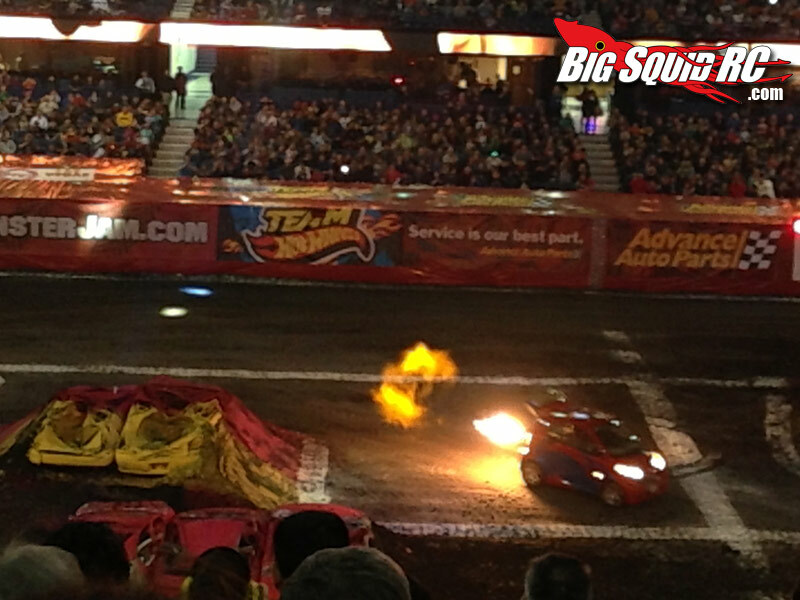 The Jet Powered Smart car shot is for Jim S. Seriously, you need to do this to yours! In the end it was a good show, and the family was very entertained. The only part that really left the sour taste in my mouth was the price gauging. (This does not include food and souvenirs, that’s expected) I have no problem paying $32 a ticket to be entertained. I HATE paying TicketMaster their $8 convenience fee PER ticket (how is it a convenience for me to do ALL the work? And why is it PER ticket? All I had to do was use type in a 4) I had to pay another $4 to print my tickets myself! And finally to top it off $20 parking fee! Weird.. it was FREE parking a few weeks before for people going to Disney on Ice, and $10 for a previous event.. but this one was $20. 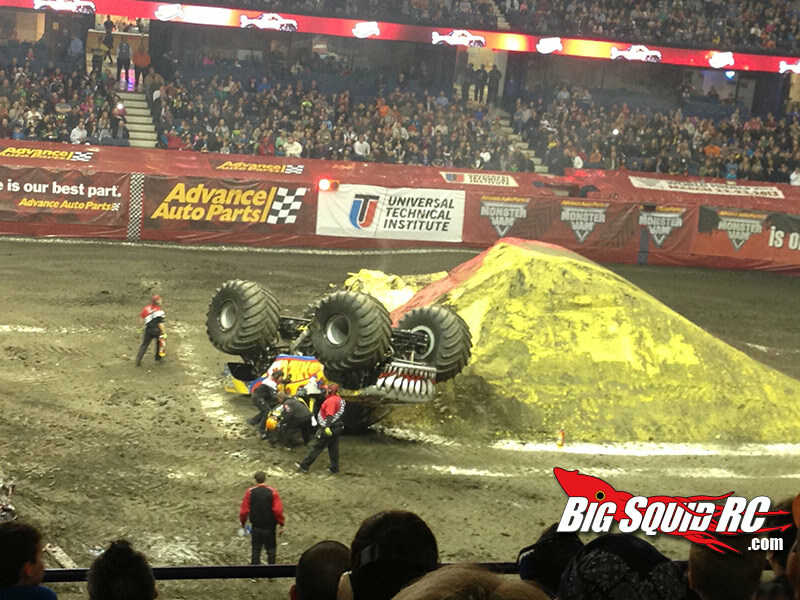 Would rather spend that $20 on Monster Truck Snow Cones! Bill has posted a few of his pictures over on our Facebook Page you can check out as well.